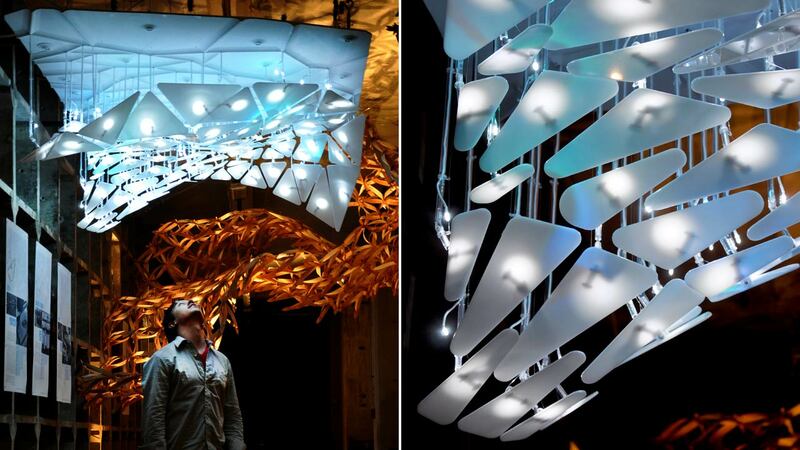 MorphoLuminesence is a kinetic ceiling prototype that reacts to people standing and moving beneath it. Sensors detect speed and direction of people in relation to the piece. If a user stands still for a long enough period of time, the petals will retract into the completed surface, but once deactivated by the user leaving, the piece opens its pods. It was developed as a competition piece and displayed on exhibition in Florence Italy. 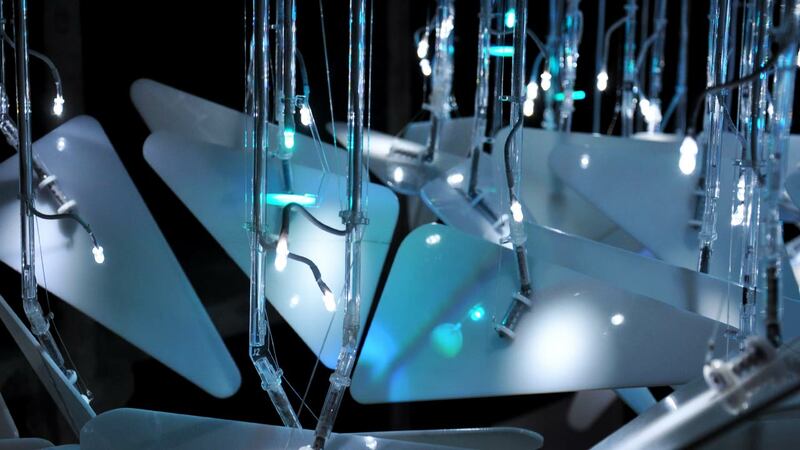 The project consists of kinetic petals, laser cut from white acrylic, which hang from stems of clear tubular acrylic with planar elbow joints. 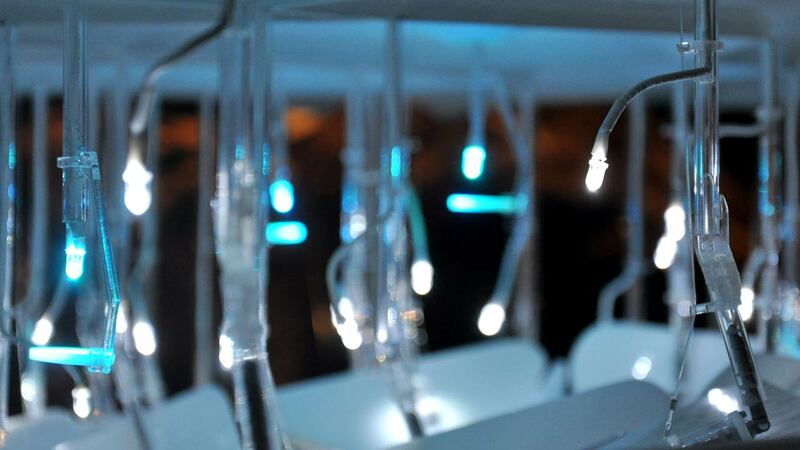 The acrylic tubes were laser cut using custom fabricated jigs to create angles and grooves along each piece. The surface is actuated using monofilament attached to small, high torque servos. 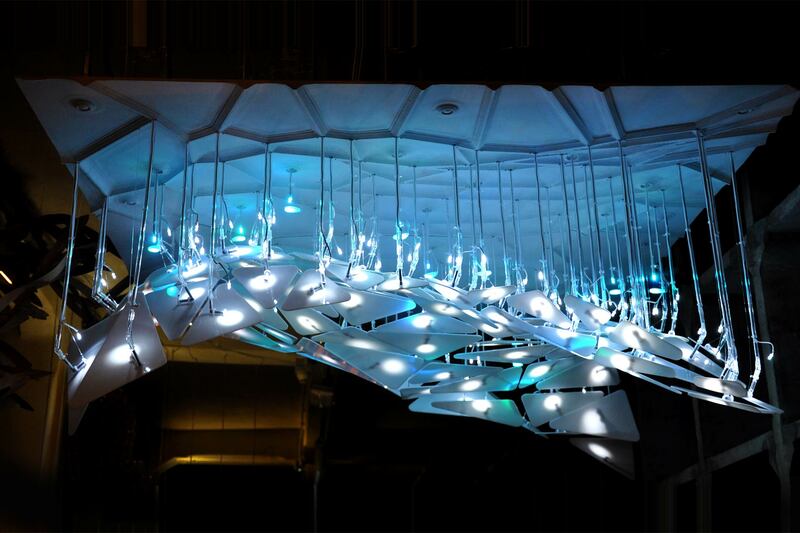 RGB LEDs above the petal surface can be tuned to provide a wide variety of lighting effects. The MDF soffit was modeled as a network of the stems. The ridges allowed material to be placed where it was structurally needed to keep the petals stable and fixed. 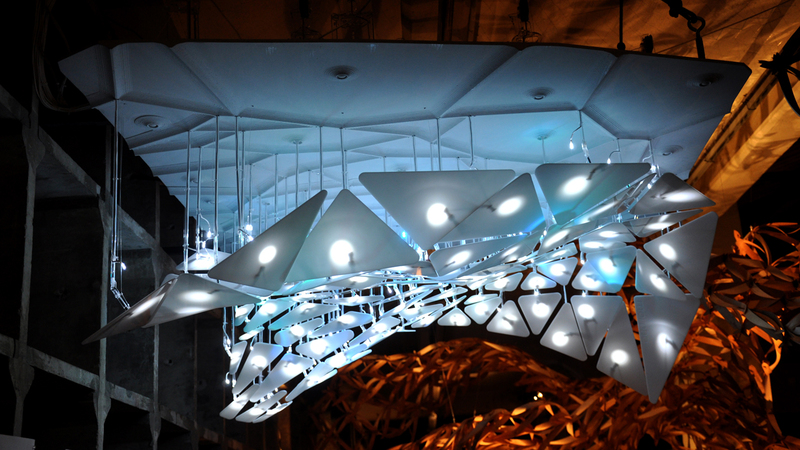 The top of the soffit became the circuit board for the LED’s and base for the servo towers.